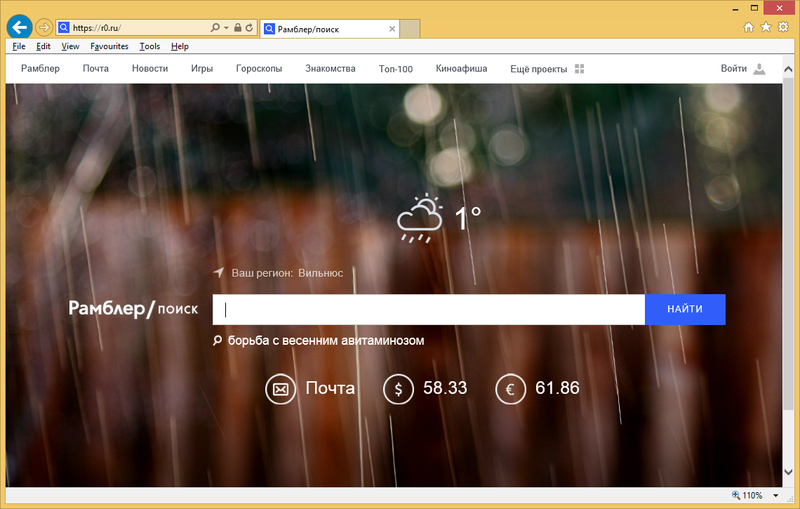 The browser hijacker aimed at Russian-speaking computer users, Nova.Rambler.ru, does not differ much from its English or other language analogues. It is used by its creators to make profit by generating online traffic. The hijacker is capable of changing your preferences, rerouting you to unknown sites, exposing you to various adverts, and so on. It affects all well-known web browsers including Mozilla Firefox, Google Chrome, Internet Explorer, and more. As there is nothing beneficial about keeping the hijacker in your system, we suggest that you get rid of Nova.Rambler.ru without hesitation. The browser hijacker spreads on the Internet through freeware and shareware bundles. It gets access to your computer together with the software of your choice. This happens if you do not pay attention to its installation wizard, which contains additional offers. If you skip through it, you fail to notice them, and thus you automatically agree to installing potentially unwanted programs onto your PC. This can be avoided by choosing the Advanced installation mode and declining all offers shown to you during the setup of freeware. Once inside, the hijacker takes over your browsers by altering your home page and default search engine. These settings are replaced by Nova.Rambler.ru, the site that presents you with a search box. Using the search box is not recommended as it will bring you results containing sponsored links. Advertising data will appear in other places as well: it will be inserted into all sites that you visit. It is important that you know that none of the ads are monitored or endorsed by the hijacker. They can be misleading or completely false. If you wish to improve your online safety by eliminating the unreliable adverts, you have to terminate Nova.Rambler.ru as soon as possible. You can erase Nova.Rambler.ru from your browsers manually or you can do it by using a malware removal tool. We advise the second option as it is more beneficial. You can delete Nova.Rambler.ru automatically with the help of the anti-malware presented on our website. It will clean your system from all unsafe components and protect it from future parasites that you may encounter while surfing the Internet. Although automatic removal is certainly the more effective solution, it is also possible to eliminate Nova.Rambler.ru manually. This can be done by uninstalling the application that entered your computer together with the hijacker and restoring your browser settings. Manual Nova.Rambler.ru removal guide is provided below and you are welcome to follow it.